Every men's footwear collection is incomplete without a pair of sports shoes. 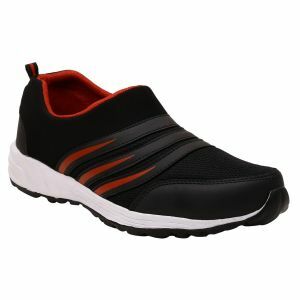 Rediff Shopping brings to you a massive range of sports shoes for men. Whether you want shoes for a particular sport or for any other athletic activity or running, there is something for everyone out there. Sports shoes are designed to deliver both comfort and style. If you love adventure, jogging or any other kind of sporting activity, it is extremely vital to have the right type of running sports shoes. 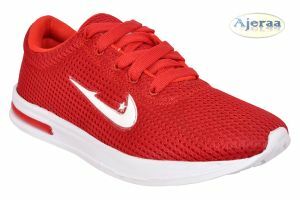 At Rediff Shopping, you can browse through a wide range of sports shoes for men for all kinds of activities that will suit your purpose and budget. You may think that a pair of normal shoes would do instead of running sports shoes. However, there is a huge difference in how sports shoes for men protect your feet as compared to a pair of regular shoes. A good quality sole with superior grip allows you to take on any kind of challenges. 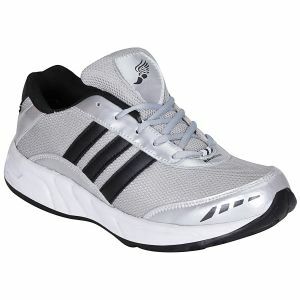 There is a specific type of sports shoes for every sport you indulge in. All the sports shoes for men are available at Rediff Shopping come from reputed brands like Puma, Nike, Adidas, Slazenger, Lotto, Reebok, Sparx, Colombus and more - promising you the best quality running sports shoes. 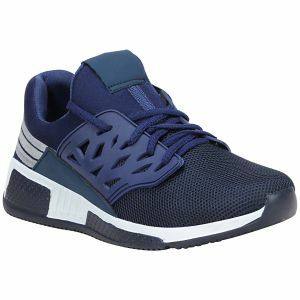 No matter what your reason is, you can choose from our amazing range of sports shoes, formal shoes for men, casual shoes, sneakers for men at reasonable prices.